"I could ski Vail for the rest of my life and never get bored. No other resort can match the number of true bowls." "Whistler has matured into a year-round playground, two mountains with varied terrain to challenge the most experienced of skiers, with easier runs for those with less experience." "I have skied all over New England and the west and I have yet to find another resort that offers what Jackson Hole does. The skiing offers something for everyone and allows experts to push themselves further than other resorts." "Mammoth is so big that even during a busy weekend, it never seems crowded. Lots of room on the slopes for everyone! Love the terrain variety and wide open views." "The size and varied skiing is awesome! You could ski Big Sky for a week and not retrace your steps. Lack of crowds is great (so please don&apos;t go :)"
"Lots of steeps, lots of bumps, great food, great variety of terrain for all. The scenery at Telluride is second only to Banff in North America. Some of the best black runs in the world and some of the best green runs in the world." "Fantastic staff, with fast lifts, a large variety of well-kept runs, and an enormous mountain with all the snow you could dream of. The experience at Snowbasin always creates the best day ever." "Despite its reputation, Aspen Snowmass is less expensive than Vail, Beaver Creek, and Breckenridge. World-class children&apos;s ski school, incredible variety of terrain. Four mountains to choose from. Terrific family destination." "I love Taos Ski Valley. It is a winter haven in the middle of New Mexico. The variety of slopes and the short lines allow skiers to have a blast and really challenge themselves all day long. The Euro feel is really quaint." 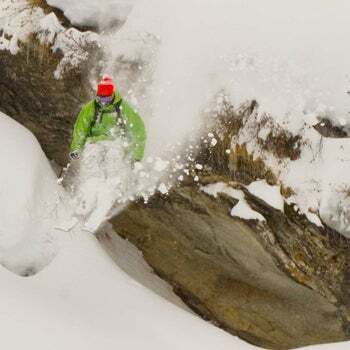 "Alta has some of the best snow and terrain in the west. Great feel as a ski mountain. There always seems to be a new area to explore."